Whether because of players not releasing and running back fast enough, tanks going afk, people not buffing, nobody having read a boss' strategy, people showing up with pvp spec, whatever. There will be times you got a few minutes to kill during the raid. Obviously you could start a long discussion on TeamSpeak about the meaning of life.... turn up the music, or.. well plenty of options really. What do you usually do if you end up with a spare moment like that? Some may remember the Bored in KZ post from earlier this year. You could play bingo! Obviously the chart could be modified to work for BT or Sunwell just as easily. And the big list of wow and other comics hasn't stopped growing either. Supposedly the guys from popcap games (which appears to be on a blacklist on my peerguardian) are going to release a wow addon soon for a classic game called Bejewelled. Source: Wow Insider. Personally I hate bejewelled, never been any good at it, and doubt I ever will be. But, I'd keep still keep an eye on that. 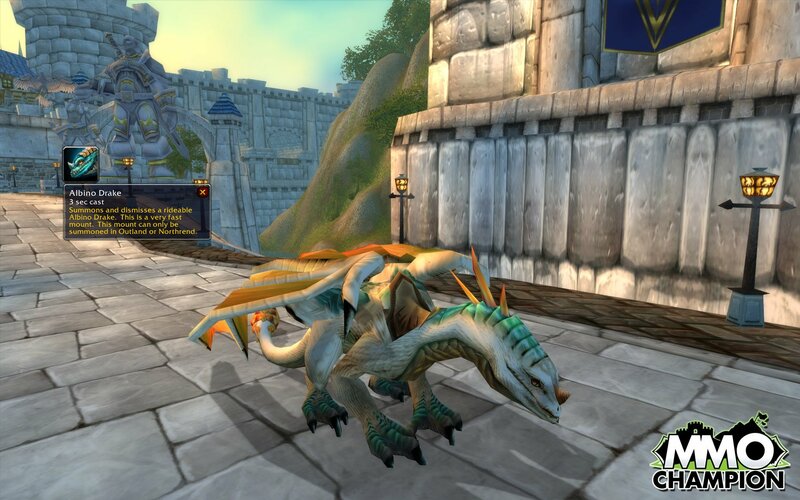 If it turns out they like making wow addon games, they might well start releasing more in the near future. It's a text based browser RPG, it was running an advert on the site so I figured I'd check it out. It's not half bad once you figure out how it works. There's a big long FAQ you can check out if you're confused. Maximum number of characters you can make it 20. Stay alive, and once you get enough points be sure to get yourself a "banner of exploration". If you're going to play around with it, be sure to join the competition group I made called: "Random Ravings". You'll be able to check your own progress vs some of my characters. I realize I haven't given you a lot of comic links lately, but there's many many in my bookmarks. So let's see. Not sure if I've listed some of these before, but they're all pretty awesome so there's no harm in listing them again. Be sure to check em out. That should keep you busy a while. More at a later date. WotLK beta is still getting frequent updates. Inscription is aparently getting some craftable BoP shoulder enchants. MMOC also posted some screenshots of the new mounts mentioned earlier. Be sure to especially check out the Proto-Drakes, they look damn awesome. There's also a pic of the Albino drake which doesn't look very albino-ish imho. Blizzard even managed to slip in some rogue updates again, Gouge awards one combo point once again.... go figure. The combat tree is looking a bit better than last week. Vitality is changed to improve your energy regeneration by 10%, Agression was moved to Tier 5 and changed to 5 points which give a total of 10% dmg to your evisc, sinister strike and backstab. Some decent changes, but the main griefances still stand. Combat tier 4 stinks, and relentless strikes is still 5 points in the subtlety tree. About the drakes, they look bloody awesome indeed. Planning on getting the Red one. Popcap gems is releasing a WoW addon for bejeweled in a few more days. Would make a great timer killer for down times in raids. This is Bryan King, Creator of Neo-earth. I appreciate the link my man. This may come as no surprise that I have played WOW myself. I enjoy the game very much but realised that I would fall behind on the book if I continued to play. Anyway thanks again.